Head honcho Mike Shiver has been steering the Captured Music ship for quite a while now as we approach our 60th release but before we get there it’s time for something from the man himself. 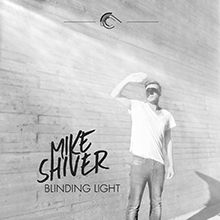 Following on from his previous solo release ‘Choirs’ which spent considerable time in the Beatport Trance Top 100, ‘Blinding Light’ is the next chapter in the Mike Shiver story. This one has a real energy about it, built around a solid vocal performance and expert production to match. Progressive, Uplifting and straight up Trance elements blend to form a fresh sounding, up to the minute vocal track that is sure to win fans. you've been calling me, calling me. I've been trying to find the truth. Your love get's me high, ohh. to bring you and me together. I've been calling you, calling you. © 2019 Mike Shiver. All Rights Reserved.